As part of our Canada 150 Farm Family Recognition Program, the first Canada 150 Farm Family Sign was presented at a ceremony last week at Sweet Ridge Farms in Scarborough to the Reesor Family, who have been working the land for more than 200 years! 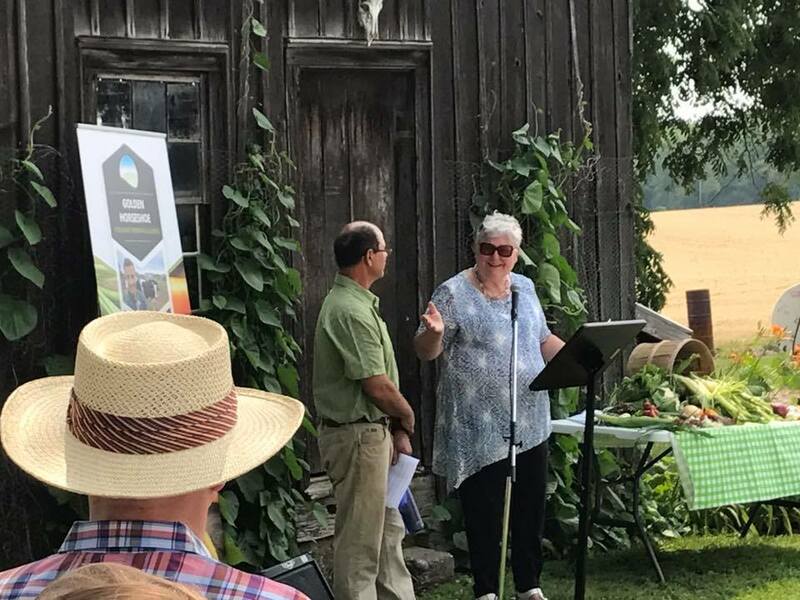 Sweet Ridge Farms is home to Dale & Lois Reesor and family, where they now produce more than 12 varieties of sweet corn and soybeans on land owned by Toronto and Region Conservation (TRCA). Their ancestors, Mennonites, moved north from Pennsylvania in 1804 and bought the land that has remained in the family ever since. Originally, the farm had dairy and beef cattle, but switched to cash crops in the 1970’s. Working the land is a proud part of Canada’s heritage, and the Canada 150 Farm Family Recognition Program celebrates that heritage and legacy. With support from the Ontario Federation of Agriculture, the award recognizes those families who’ve made significant contributions to farming in Canada for generations. All Golden Horseshoe farm families who successfully apply to the program will receive a specially designed 150 farm family sign at events throughout the year. 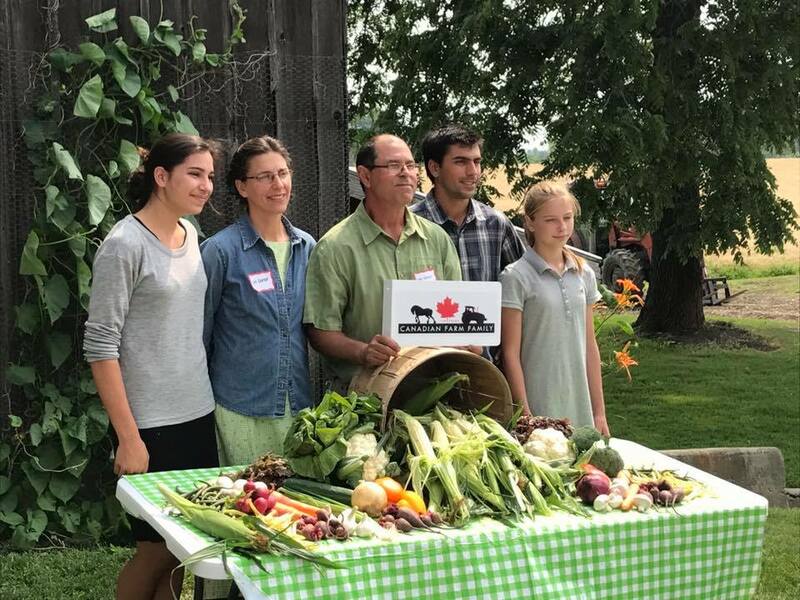 The program is open to family farms in the Golden Horseshoe, including those in the Regions of Durham, Halton, Niagara, Peel, York and the Cities of Hamilton and Toronto.